This is a piece of graffiti which I encountered as I made my way down the Passeig de Gràcia to Plaça Catalunya on the 12th of May for a large demonstration to commemorate the 1st anniversary of the 15-M “indignados” movement. 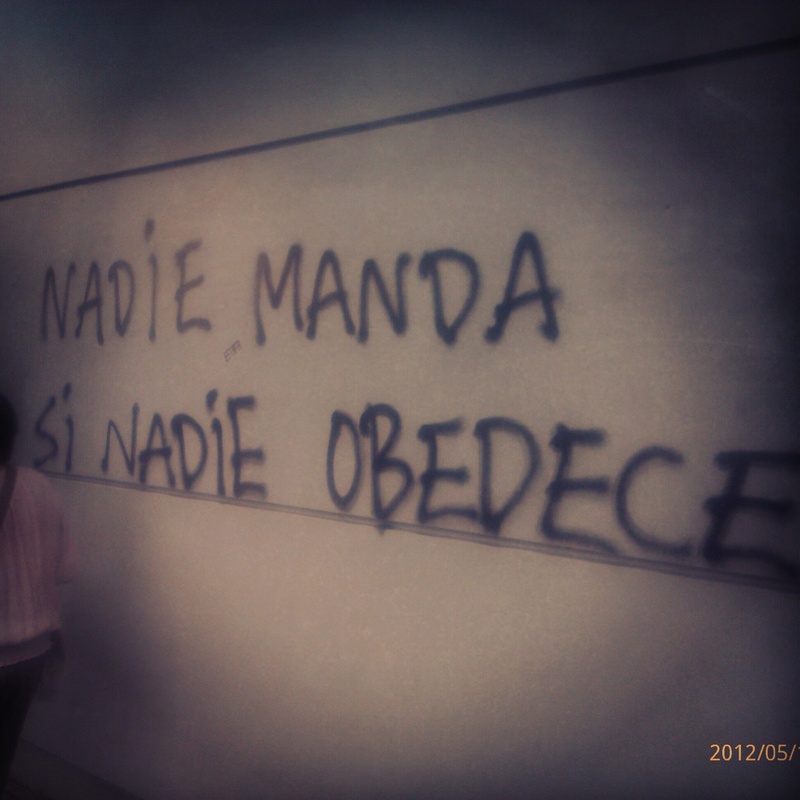 Translated, the phrase means “If nobody obeys, nobody’s in control.” Seemed a bit naive and idealistic only a few months ago. Now in July with various protests taking place all over the country every DAY, it may not have been so far off base.